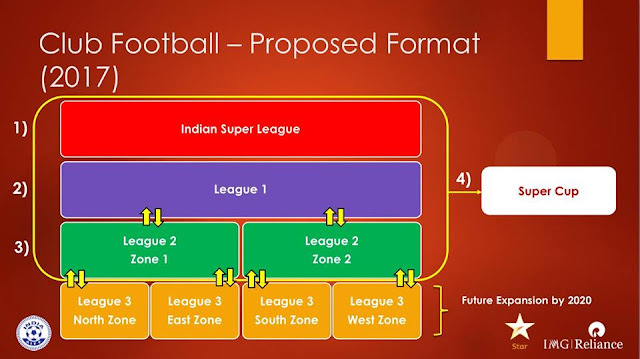 Home I-League Indian Super League WHO SAID WHAT ON THE NEW FOOTBALL STRUCTURE? WHO SAID WHAT ON THE NEW FOOTBALL STRUCTURE? AIFF-FSDL's proposed plan on restructuring of Indian League structure was met with mixed reactions with some I-League clubs welcoming the Road map and some rejecting it out right. Lets look at what different stake holders had to say about the proposed road map. “I firmly believe that the ISL has been a disruptor for Indian football. But this disruption has been has been good as this has led us to sit and discuss the problems in Indian football and look for solutions. Otherwise before the disruption, everyone was like, ‘Things are going on, let them go on’." After backlash by fans on social network sites on the proposed plan, Praful Patel course corrected and termed the plan as a 'Concept Paper' and assured that inputs will be taken from all the stakeholders before finalising anything. I-League Champions Bengaluru FC are the only club in I-League that can match ISL team's money power have already made their intentions clear on being part of ISL. Mandar Tamhane termed it as a good plan and beneficial for players too. "It's important to look at the larger picture and in larger aspect it looks good. In a general view, we have players playing in ISL, I-League and Federation Cup and they are burned out because lots of players who play in ISL are the ones playing in I-League also." He also said that the new structure will help curb players unemployment and more players will get chance to showcase their skills ultimately helping the National Team. "A stream lined calendar of three leagues will also help the national team plan their calendar better. At the end of the day, national team is the big picture and this will help there." Shillong Lajong owner opines that if implemented properly, it will go a long way to help Indian Football. “We can say that this is a proper vision for Indian football. If the AIFF and FSDL (Football Sports Development Limited) can pull this off as per the presentation shared, it will be beneficial for Indian football"
"If action meets words or if this vision plan is executed, it will be good for Indian Football as the proposal has a huge potential"
He also stated that his club's main intention would be to invest in infrastructure and Youth development. DSK Shivajians President has given thumbs up to the plan and stated that execution off plan will be key to its success. "I am happy with the proposal and if executed well, it can hugely benefit Indian football. This will give clubs a lot of opportunities including academies like us, as all three leagues will have to focus on young talent and likewise player contracts will be strengthened,"
He also stated that his teamwould be happy to ply their trade in League One and with the presence of Super Cup, they would still have chance to represent the country in Asia. "It does not matter as League 1 and ISL are now parallel. We will be having our own strengths to showcase. 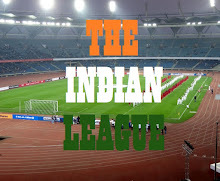 I still firmly believe that League 1 will actually cast a pathway for the future of football in India. For me, League 1 is the top league,"
Former India International is all praise for the new plan and thinks that the three tiered system will be very beneficial for the players as with more clubs, more avenues of jobs would be opened for professional footballers. "The new proposal of the AIFF, which includes a three-tier league system is extremely beneficial for all players involved. The spectre of unemployment, which Indian football currently suffers from will be tackled to a very large extent,"
"The job opportunities are going to be immense. We're looking at three tiers of football with the Super Cup to boot - the players will have ample chances, unlike seen today,"
Views and reactions are still pouring in from fans and administrators and with still more than a year to go for the implementation of the plan, AIFF/FSDL has plenty of time to rope in all the stakeholders.